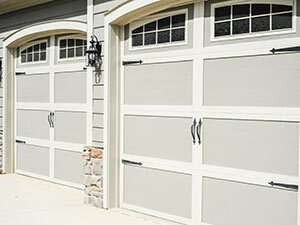 Doors By Mike | Garage Doors and More! All the guys at Doors by Mike were great. They were quick to get in touch with us, offered a fair price to frame all of our mirrors, and we are SO happy with their work. The bathrooms look polished with the extra touch. The repairmen did a great job on my shower enclouser, I would use them again for sure. Our experience with Doors by Mike was the install of a quality product in less time quoted while getting an upgrade on a few lighting fixtures. They worked on a weekend night in order to not disrupt business and even came down from their original quote to beat competition. Thank you from Beasley Drug Company. Doors by Mike framed two mirrors and repaired a mirror in our new house. Spencer did a great job with installation, quick and easy! We love the job they did, they made our bathrooms look more put together and complete. Thank you! Sean came out to fix my garage door tonight and did an amazing job. I recommend Doors by Mike for any and all of your garage door needs. They are a truly honest company and are not out for the all mighty dollar. They actually have their customers best interest at heart. Now a days it’s hard to find a company like that. Thanks again Doors by Mike and thank you Sean. Recently had to have the springs on my garage door replaced. Doors by Mike did an outstanding job. The technician was extremely professional and very knowledgeable. The cost to replace both springs were most economical — unlike that other company whose name starts with an”O”. When they quoted me their price I knew immediately it was going to be a rip-off. If you want excellent customer service and a fair price don’t walk to Doors by Mike — Run to them! They will treat you in a fair manner! I searched, priced and communicated with many door companies and representatives before deciding on Doors by Mike. Mr Barry Helms was my sales contact and assisted in every aspect of my new door install. Christy and Kelly in the front office are full of door knowledge too! Stop, drop and buy your door here! Ricky was my installer his craftsmanship was the best I’ve seen and he was spotless upon departure. Again, my experience was wonderful and these folks know about details that make door purchase and installation fool-proof. Thank you! I called Doors by Mike because my mother-law’s garage door opener was not working. They took into consideration she lived alone, prioritized the repair and was out to her house within the hour almost. They fixed her door and was on their way. Thank you for being Considerate to the situation, that meant the world to me. Not many companies do that anymore. I would recommend this company and I will use the company in the future for sure! Thanks Doors by Mike! New garage door and opener look and work great! Matt and his team did an excellent job. They are professional and I am happy with their services.